Having passed IVA with flying colours in June this year, production of the AMC CUB, the Mini based open-topped fun car, has re-started. The Cub was designed by Charles Andersen and built in Liverpool by his company between 1985 and 1997. 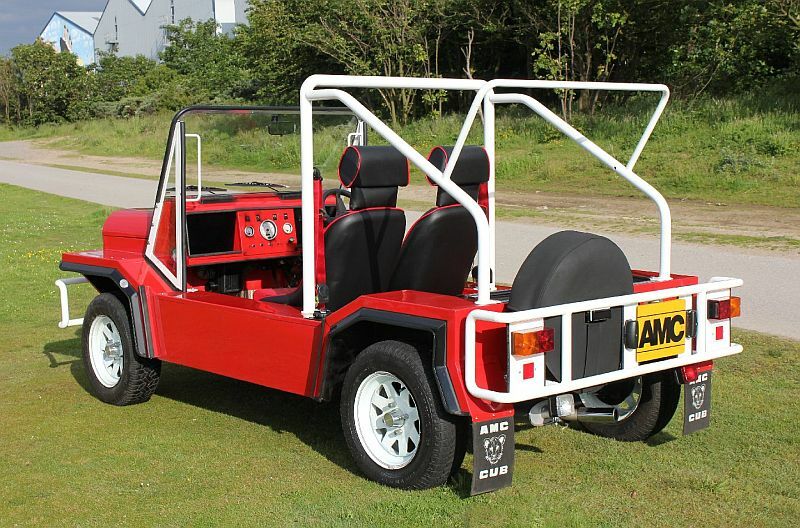 It was, and is, an updated replacement for the Mini Moke, which was produced in England, Australia, finally Portugal until about 1989. Production of the Cub is now up and running again in Liverpool using all of the original jigs, fixtures and templates. Available as either a two or four-seat model the Cub is based on original Rover Mini suspension, brakes and running gear with discs at the front and drums on the rear. The recommended engine is the well-known Rover A-series unit, 1300cc on a four-speed manual gearbox. 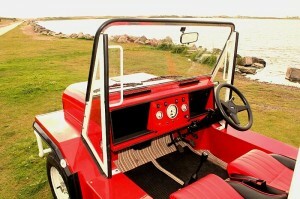 The Cub comes in a choice of over thirty colours and full weather gear is available with side doors and side screens. Both complete vehicles and those supplied in knocked down form can be supplied with two tone vinyl seats also in a range of colour options. 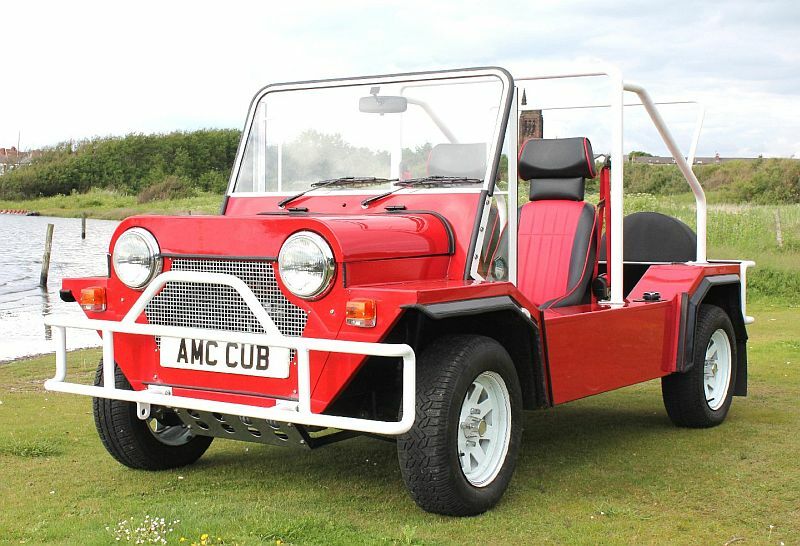 For those with a donor vehicle the Cub can be supplied as a bodyshell kit with all other AMC made parts supplied such as roll-over bar, crash bars (front and rear), seat frames etc. In order to pass IVA other parts (such as rear suspension arms, steering column, handbrake lever and pedal assembly bracket. In addition to IVA, the Cub has passed German TUV and has even been tested by the British Army for a role as a patrol and security vehicle. Bodykit prices start at £3980 with a complete kit including all parts required costs from £8975. 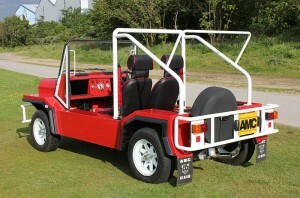 Fully built Cubs are available from £11,695. More information is available from 07903 573 050 or via www.amcgb.com ENDS. Print article This entry was posted by admin on July 12, 2012 at 7:12 pm, and is filed under News. Follow any responses to this post through RSS 2.0. Both comments and pings are currently closed.